'YES' - we have FREE 'SKYPE', WI-FI in the condo, Big-Screen SATELLITE TV, and we accept ALL Major Credit cards !! Your first morning at TERRASOL, is easy to predict. You'll wake up, look South-East, witness sunrise and the Pacific Ocean... from your bed. The cool Pacific breeze will flow up through TERRASOL as you turn on your coffee-maker in anticipation of breakfast. Step onto your deck... fill your lungs with intoxicatingly fresh Pacific air. With that first breath, it's as if all the world-weariness that brought you here is washed away by the waves that lulled you to sleep the night before. In its place, a smile [the kind that starts on the inside and works outwards] and an eagerness to try something new. Scuba-diving, whale-watching, golf, fishing, or strolling along your own, private 1-mile long beach and relaxing at one of the pools, reading your favorite vacation book - in quiet solitude and in the most perfect weather on the planet!! - TERRASOL is built 'on' the beach - 500 meters from the tip of the Baja Peninsula. 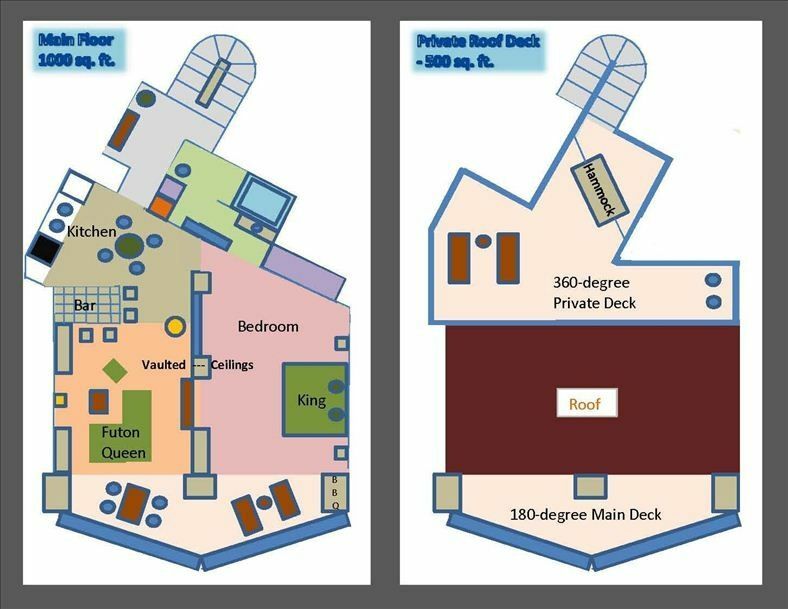 - Of all the units at TERRASOL, we have the only private roof-deck, with stunning views back to Medano Bay, the Marina, the Sea of Cortez and Cabo San Lucas and forward to the mighty Pacific and its migrating great whales, the mountains that envelop Terrasol and the daily sunrise and sunset views. - Set apart from Cabo, TERRASOL offers exclusivity and privacy, but is still only a short 5-minute walk into town. Is deluxe - furnished with authentic Pueblo Mexican craft from wrought iron main and roof-deck furniture and tables, wall hangings and rugs, planters, crockery, and wall cabinet-credenzas. We own the only roof-deck at Terrasol, over 500 square foot, with stunning views in all directions, town/marina, sunrise, sunset and the Pacific/whales. You can eat under the stars on wrought iron glass table, make use of our double roof-hammock for tanning, or the queen deck-mattress for 'romantic-sleeping' under the stars. Big-Screen Satellite TV - all the Major Feeds in high-def.